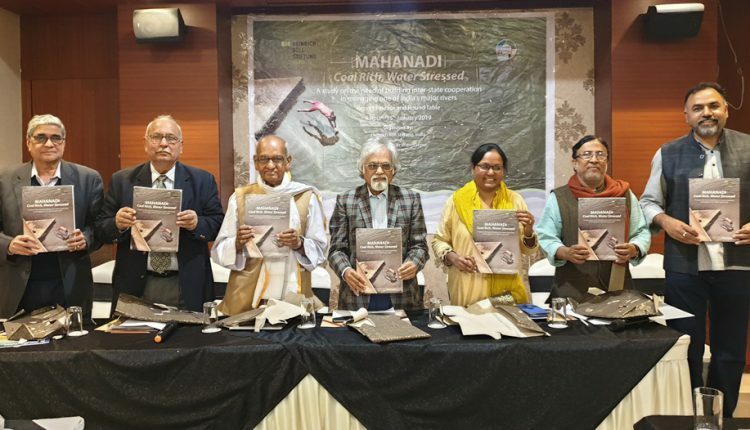 At a time when the dispute between Odisha and Chhattisgarh governments over Mahanadi waters is rife and that is being heard by a Tribunal, participants attending a roundtable held at Raipur to release an important study report on the dispute have urged upon the governments to keep the doors to dialogue open. “It is high time governments of both the states came together to build a cooperation framework to address the issue”, said noted water expert Ranjan Panda, who has authored this study titled ‘Mahanadi: Coal Rich, Water Stressed.’ He was addressing a group of participants including academicians, politicians, civil society representatives, eminent citizens, activists and community members at a roundtable organized by Heinrich Boll Foundation, New Delhi and Mahanadi River Waterkeeper at Raipur today. 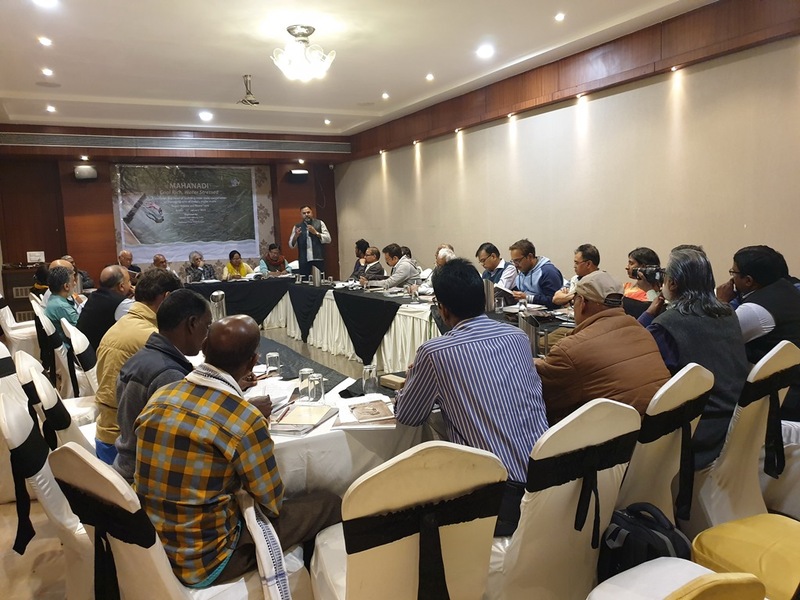 The study that focused on the need of building inter-state cooperation in managing one of India’s major rivers discussed how coal rich Odisha and Chhattisgarh are exploiting the common property resource (Mahanadi River) to an irreparable extent. The study has argued that obsession of both the states for building coal fired power plants and indiscriminate industrialization are the major reasons for water scarcity and related marginalization of local and indigenous communities in the basin. Most of the contentious dams and barrages around which the Mahanadi conflict revolves, and which are responsible for obstructing water to downstream of the river, are in fact constructed mainly to supply water to such coal pants and industries fuelling thereby the conflict as well as suffering of the local communities further, the study has found out, pointed out Panda. He also highlighted other facts behind water scarcity in river Mahanadi that was, until recently, being projected by both the riparian states as a water-surplus River. If all the coal-fired power plants – that the governments have committed – start functioning, there will be no water left in the river, said Panda further while describing the main reasons behind the river’s distressed condition. He added that Mahanadi is one of the most vulnerable river basins in the country to climate change impacts, however the states are not factoring in this while discussing about plight of the river. Scientific studies have concluded that while there is at least a 10 percent decrease in the water retention capacity of the basin due to decrease in monsoon rainfall, the chances of flood frequencies are going to increase due to increase in extreme precipitation events. However, the governments are just limiting their talks to the quantity of water that is flowing in the main river without taking into consideration the changes that have happened in land and forest cover in the basin. There is sheer lack of vision in this regard, said Panda. Rise in temperature in the basin, rapid degradation of forest cover, increasing soil erosion and diversion of water to industries are creating a dangerous cocktail of devastation in the basin, especially in the coal fields, informed Panda. “It is time to recognize the rivers’ right to life’ and the rights of the basin communities. The governments should help cater to the needs of riparian communities, maintain biodiversity and other priorities in a sustainable manner,” urged Panda. Environmental activist Mahendra Mishra, a former member of the Railway Board, raised concerns over the lack of people-centric system in the country. He added that Hirakud, initially considered as a temple of development, has turned into a temple of destruction. Thousands of people have been displaced by the dam and they are yet to be compensated or rehabilitated. It is high time we thought of energy alternatives rather than depending on water-intensive thermal power. Prof. B. C. Kachhawaha of State Sarvodaya Organization highlighted the importance of nature-based solutions and urged the community members to initiate a campaign for return to nature. He came down heavily on water allocation to industries that has resulted in drying up of rivers and streams. Neither the flow of river nor the agriculture should be affected due to water allocation to industries, he said. Goutam Bandopadhyay, a water rights activist, who leads Nadi-Ghati Morcha, an NGO that works for preserving the rights of the rivers, said the governments should come up with clean energy projects and reduce the dependence on coal-fired thermal power plants. He added that initiatives should be taken on mapping of encroachment on flood plains and their destruction. “A separate system, something like a River Parliament’ should be there to ensure the rights of the community over river,” he emphasized. Noted journalist Lalit Surjan mentioned that water is Nature’s precious gift. He also emphasized on the need for a holistic approach to conserve river water. The role of trees and forests in retaining the surface and ground water is noteworthy and we cannot ignore this aspect. There is a need of conglomeration of academia, civil societies, journalists, lawyers, policy makers and community members to ensure the rivers’ own rights and those of the people dependent on them, said he. National coordinator of the Centre for Integrated Natural Resources Management Prof Dinesh Marothia, who chaired the discussion, pitched for community led revolution to stop river interlinking project and large dams. He emphasized on regarding river ecosystem as a unique entity and said it is high time we understood the rivers’ dynamics and political economy of river ecosystem in order to keep the rivers’ pristine glory intact. Among others, Sabita Rath, an activist from Jan Chetna, Raigarh, highlighted about the plight of people in the coal belts of Mahanadi and urged upon governments to work to stop degradation of river basin due to coal mining and power plants and work, on a war footing manner, towards abatement of pollution. Pollution in the coal fields as well as from urban areas was responsible for massive death of fish population in the rivers and water bodies as a result of which the fisher folk are losing their livelihoods, said she, demanding an urgent abatement plan jointly by the states. The experts also discussed on the reasons behind drying up of Mahanadi’s tributaries and distributaries, and emphasized that community ownership over resources like water, forests and land should be given primary importance in policy and plans if we seriously want to save Mahanadi and other rivers from further distress. A sustained campaign was needed in preserving the rights of the farmers and fisher folks over river and basin waters, reflected the participants. The workshop ended with a resolution to pursue a community led Peace and Cooperation initiative in which local people and other stakeholders from both the states need to work together to resolve the Mahanadi conflict by addressing the real challenges that affect the river as well as local communities. 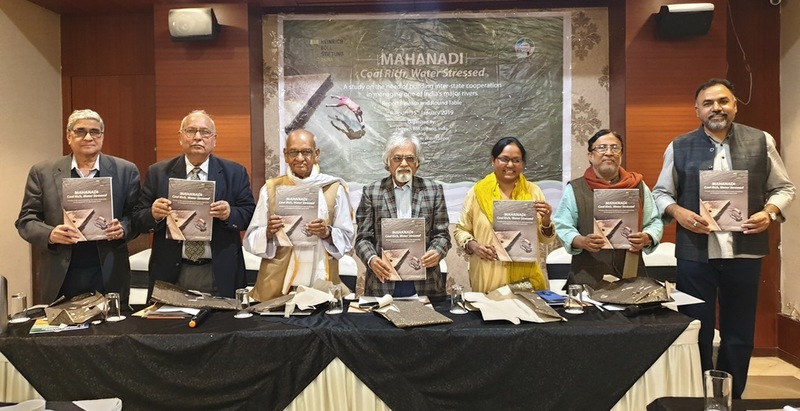 It is to be noted that this study report has already been released at Bhubaneswar and New Delhi and is paving the way for policy advocacy on building interstate cooperation in river basin management.